I picked up an iPhone 6 Plus from my local Apple Store this morning. Like most people, I hadn’t seen it ‘in the flesh’ before I reserved it (let alone before I paid for it) but I thought it was notable enough a device to spend some quality time with over the next year, seeing how Apple and its ecosystem of developers adapt to the phablet form factor. I’m taking the 6 Plus on a European road trip (well, an air and rail trip really) next week where I’ll try to make it my only device, replacing even my laptop. But for now I thought it was worth sharing the intial thoughts when I opened the box, set the phone up and started to use it. If you’re an iPhone owner wary about upgrading to the 6 Plus, read on. 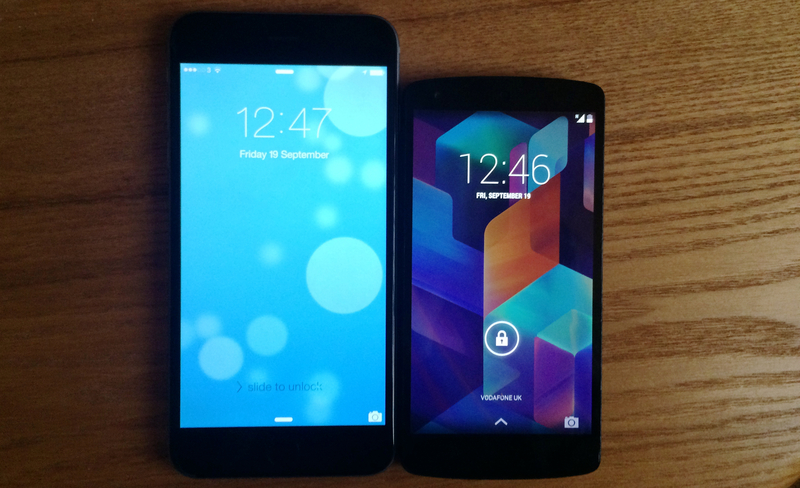 As soon as I took the iPhone 6 Plus out of its box, I compared it to my Nexus 5, which fits comfortably in my pockets. 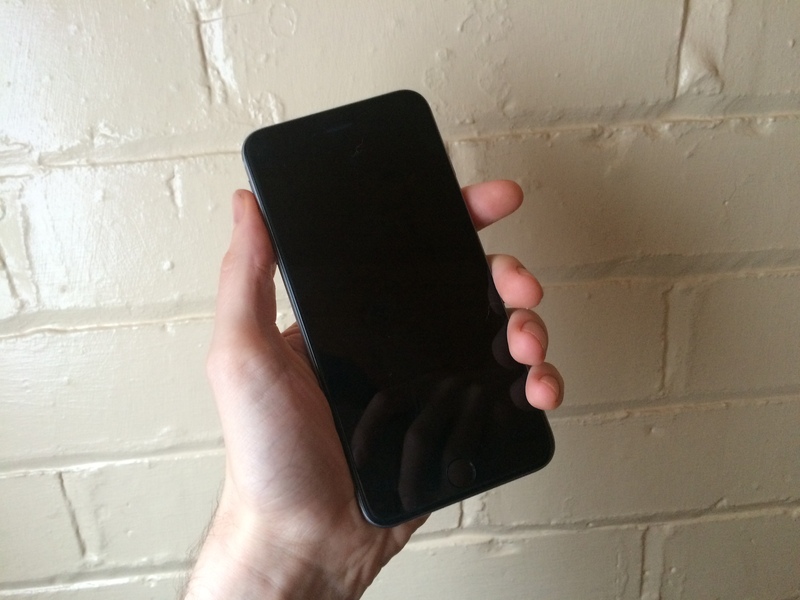 For all the people talking about how ‘enormous’ the 6 Plus is, it’s really not that big. Next I held it in my hands. Although my hands aren’t small, I wouldnt say they were enormous either and the 6 Plus is comfortable for me to hold in one hand. 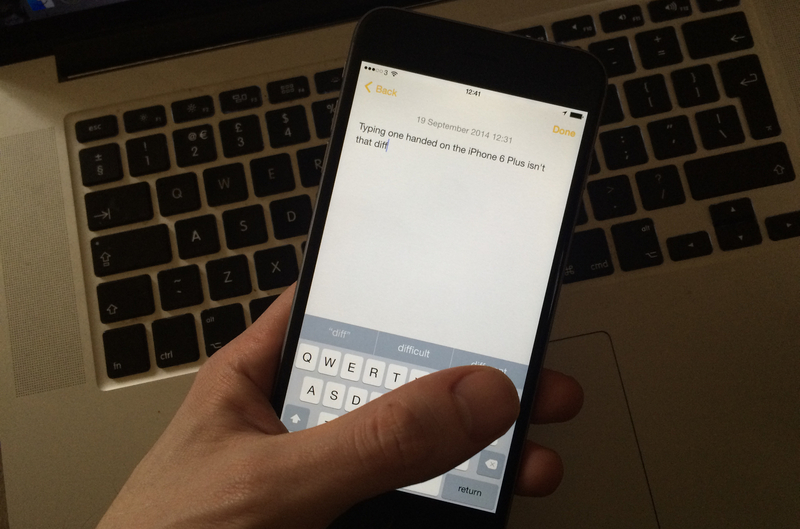 I can even type one-handed and in initial tests, it actually feels just as comfortable to do so as on the iPhone 5s with its much narrower display. In fact, as I don’t have to bend my thumb as much, it’s maybe a little more comfortable. I don’t think people with small hands, like our own Jackie Dove, will be quite so happy, but I can’t see the 6 Plus forcing me to change my routines at all. I’ve seen the iPhone 6 Plus described as “a computer” rather than a smartphone. I wouldn’t go that far on first impressions, but it’s a happy medium between a normal iPhone and an iPad. I’m not convinced you’d need both (even a full-size iPad) unless you have very specialist apps you need the extra screen space for or you’re using an iPad as a laptop replacement. The display is beautifully crisp and while apps that haven’t been reworked to take advantage of the space yet have a very slight ‘fuzz’ to them, it’s not a problem at all, and they’re perfectly usable. In fact, the only thing I’m not immediately comfortable with is the repositioned power button, on the right-hand side of the device, but that’s only because I’m used to reaching to the top on my old 5s. The button’s new location makes a lot of sense for this form factor. I’ll report back next week after the iPhone 6 Plus has powered my Manchester > Amsterdam > Brussels > Manchester round trip and let you know whether it really can be a workhorse that surpasses the capabilities of a ‘normal’ iPhone. Don’t miss: What’s inside the iPhone 6 Plus?